We were pretty big fans of Thomas Was Alone when it was released on PSN earlier this year. But creator Mike Bithell has a new project up his sleeves and it looks super interesting. It’s called Volume. 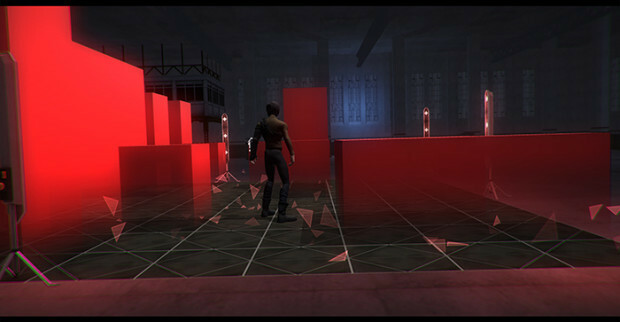 In a press release, the game combines over-the-top perspective stealth akin to Metal Gear Solid with user-generated content. Relying on stealth, you cannot kill your enemies but must use their Ricochet of bullets back to enemies to control them, find loot and complete the level. No platforms announced so far but it will hit sometime in 2014. He’ll also be showing off a playable version of the game at Eurogamer Expo this year, which one of our writers will be attending so maybe we’ll bring you some hands-on in the future. Let us know what you think of the neat little title below in the comments!